It usually has no symptoms and is sometimes only found in relation to other troubles. But problems with blood pressure can be dangerous and they shouldn’t be taken lightly. There are different types of blood pressure problems – high blood pressure, or hypertension and low blood pressure, or hypotension. Both are dangerous and need to be monitored. Your blood pressure reading records the pressure of blood in your arteries as it is pumped around the body from the heart. The higher the reading, the higher the pressure on your arteries. Hypertension causes the blood vessels to narrow too much which makes the heart pump harder. Hypotension is caused by a slow blood flow, resulting in a lack of oxygen and nutrients to some parts of the body. 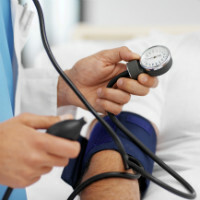 ‘Normal’ blood pressure tends to hover around 120/80. However, it’s important to remember that readings can change according to the time of day and activity that you’re doing. Recent studies in the USA, however, claim that 120/80 is no longer the norm for those over the age of 65. It reveals that 140/90 is ok for those under 80 and if you’re 85+, a reading of between 140/90 and 145/90 is considered normal. 120/80 can sound like a nice, round number, but unless you know what it actually means, it can be quite confusing. The systolic, also known as the top number, measures the pressure in your arteries as the blood moves through. The diastolic, or the bottom number, measures the pressure in the arteries between heartbeats. In other words, as the arteries rest between heartbeats and refill with blood. Most people will say that the bottom number is the most important. However, as you get older, doctors are now saying that it’s the top number that can be concerning. When your arteries are blocked, it can cause other ailments. Systolic hypertension occurs when the arteries close to the heart stiffen and become less responsive to blood flow. While most people focus on high blood pressure, if your reading is too low it can also be of great concern. Low blood pressure effectively means that not enough blood is flowing back to the heart, depriving it of oxygen. The flow-on effect of this is that the brain is not receiving enough blood. Hypotension can be caused by a number of factors. When it comes to the over 55s, it’s generally quite simplistic – dehydration, an allergic reaction or infection, prescription medication or genetic heart conditions can all cause hypotension. Excessive bleeding such as those caused by ulcers or an accident can also result in low blood pressure. If you suspect that you have high blood pressure, genetic factors may have contributed. But remember, your lifestyle choices can also have a big impact. Smoking, cholesterol, weight and other ailments can affect your blood pressure reading. Remember, your doctor is not going to medicate you or advise you after only one reading. Generally, your doctor will monitor you for a few days and take several readings to see what your pressure is like when doing different activities. Another avenue that doctors will often explore a 24-hour blood pressure monitor, particularly if he or she believes that coming to the clinic is stressing you out, causing your blood pressure to rise. If you’d like to lower your blood pressure, it’s important to reduce your salt intake, maintain a healthy body weight, limit your alcohol intake and exercise regularly. This doesn’t mean strenuous exercise. As with any other medical ailment, regular daily exercise can be as much as a half-hour walk every day. A healthy diet is also key to managing blood pressure. This means a variety of foods from the different groups, fresh vegetables and wholegrains, lean meats and fruit. Oily fish is also good. There are medicines that you can take to control high blood pressure. It won’t cure it, but it can help to control it. Once you start, remember, you’ll probably have to take the tablets for the rest of your life, however the dose may change. Always listen to your doctor’s recommendations when it comes to medication as he or she will advise you on the correct type, dose and frequency. When it comes to older people, doctors are generally focused on lowering the risk of a stroke or heart attack, so it’s always best to follow their orders.